It's Sample time! I have so many samples and the stash is still growing. I decided to start testing some of them and writing short reviews (okay failed with short, the reviews are longer than intended). Obviously we can't judge a product from one sample, so this is a just a first impression. Note: when I say 'NO' won't purchase, it doesn't mean it's a bad product or fails to deliver on its promise, no it just didn't impress me. I might purchase it in the future and even fall in love with it. The same is true for a 'Yes', it just means I liked it and would like to buy a full size to test it out further. Ohui is a premium Korean skincare brand by LG. The first is it's most exclusive line, it's all pretty intensive and high tech stuff bio-science technology. Key ingredients are 'stemSP' developed by LG, a protein which is structured similarly to human growth hormones, Pycnogenol (antioxidant), and a bunch of other fancy ingredients. You can already guess it, it's an anti-age line that promises to stimulate stem cells and turn back the clock. As someone with a scientific background I don't feel very comfortable with all the stem-cell DNA repairing talk in the skincare industry. Sure, stem cell therapy and rejuvenation can be a real thing in skincare, but theoretically and maybe in the in lab under certain circumstances. Let's say I hope that some of their claims are true, because the price is OMG oh holly mother around 200$ for 50ml of The First Cell Revolution essence, that's crazy expensive. With such a price tag, it should deliver more than regular middle range and high end brand stuff. That said I like skincare based on bio-science technology, that's were the future of skincare lies, but I'm VERY skeptical. Full size 200$ for 50ml (on sale for 187$ koreandepart), samples on ebay 40ml for 17$. Much cheaper on ebay, so go for samples if you need this! Scent: it smells like flower I find the smell overpowering. Performance: the formula can be a little tacky, doesn't absorb immediately. Not good at oil control, so if you have oily skin you might have a problem with that. It feels moisturizing and makes my skin smooth, but nothing more. Okay, of course I can't test it's anti aging claims, but let's say I just wasn't impressed. Purchase: NO, it was 'okay' did moisturize my skin, but nothing special from one sample. I wouldn't buy it because it's crazy expensive. Maybe I will get bunch of samples in the future, to test it for 3-months. I was very excited to try this sample as it was the first time trying a product from from the brand and it's hanbang. I you have read my reviews on Sulwhasoo products you might now that I love 'hanbang'. History of Whoo is a prestigious South Korean skincare brand by LG, (yes, just like OHUI and SUM37) their products are formulated with rare natural ingredients traditionally used in oriental medicine. Most of their products are ideal for dry skin, "older" women in Korea swear by it. 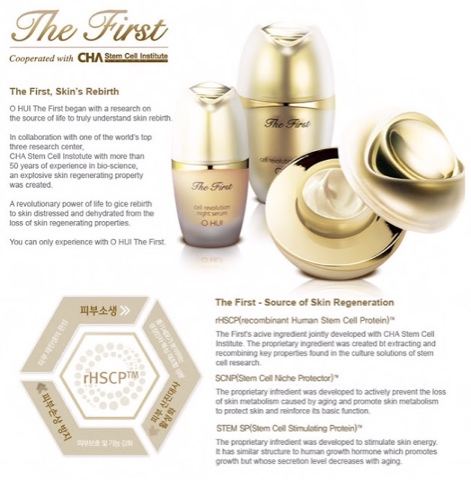 The sample I have is the The History of Whoo Soo Yeon essence.The products in The History of Whoo Soo Yeon line are aimed to keep your skin hydrated, moisturized and protected against dryness, so it's a real hydrating line. From the description online, it's seems that products from this line are more lightweight compared to other History of Whoo products. I like the bottle design of the line (well I have to admit I love all their packaging), it looks pink and very refreshing. Scent: it smells of flowers no 'hanbang' scent here. Scent is somehow similar to the Ohui the first essence, but not as strong. I like it more than the Ohui scent, it's more refreshing. Texture: the first thing I noticed is how lightweight it is, something I haven't expected from the brand. I would classify the texture to be between an essence and serum, from my understanding most of the Koreans essences are more liquid. Performance: The formula is non sticky and absorbs really fast. I haven't expected to see that from one sample, but it really ads radiance to my face. I liked how hydrating and moisturizing it is, pretty amazing for a sample. It also promises to brighten the skin tone but I can't say anything about that. I have dry/combination skin and it seems to work really well. I even think that it would work on oily skin. Purchase: YES, it's so expensive but if I would have the budget for it (I will probably settle down with samples for now). I really like how it feels on my skin, results are visible after one application, imagine what regular use could do to my face :D. I'm actually excited about other products from the line. I'm craving for more Hanbang. I like testing eye creams, its so difficult for me to find a good eye cream. Skinfood is mainly known for it's wash off mask and their cute food looking packaging. 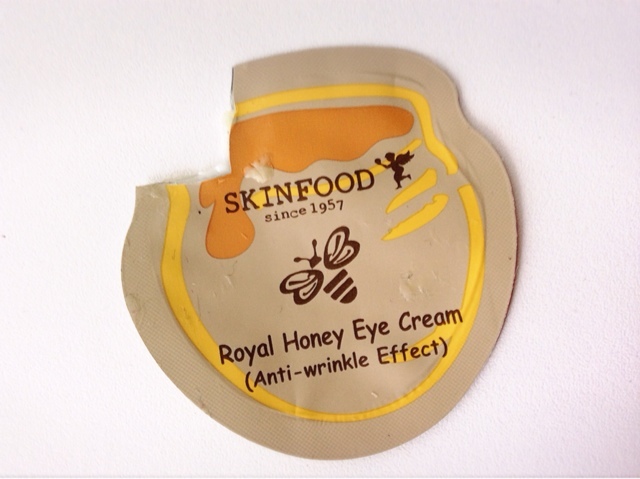 The Skinfood Royal Honey eye cream is formulated with royal black honey and royal jelly extracts that moisturize and add a nice glow to delicate skin around the eyes. It's mainly a moisturizing eye cream, but also promise to have an anti aging effect. Scent: it doesn't smell of anything. Better for me as I'm allergic to many eye creams and fragrance is one of the triggers. Texture: very think, but absorption is okay. My eye area is dry so the texture feels nice. Performance: Honey extract is high on the ingredient list, so I expected good moisturizing qualities, and it did delivery on it's promise. Very moisturizing and hydrating, didn't irritate my eyes. As for the anti-aging I can't say anything with one sample, but it does seem to plump up the skin a little bit in that area. Didn't do anything for my dark circles. Purchase: NO. It's moisturizing but didn't impress me, I have dark circles and fine lines do I'm looking for something special. If moisture is all you need then it could be a good choice. Very interesting reviews and concept - buying samples to get a first impression of rather expensive products before committing to a full size purchase. I hope you do more of these. The O Hui seems ridiculously expensive and would truly have to work miracles to be worth it. But, there must be people buying it or they would stop making it. I have tried samples of the IOPE stem cell line (softener-emulsion-cream) which is much less expensive. They are very nice products. I enjoyed using them. They felt good on my face, but really weren't anything so out-of-the-ordinary that I'd purchase full size versions. 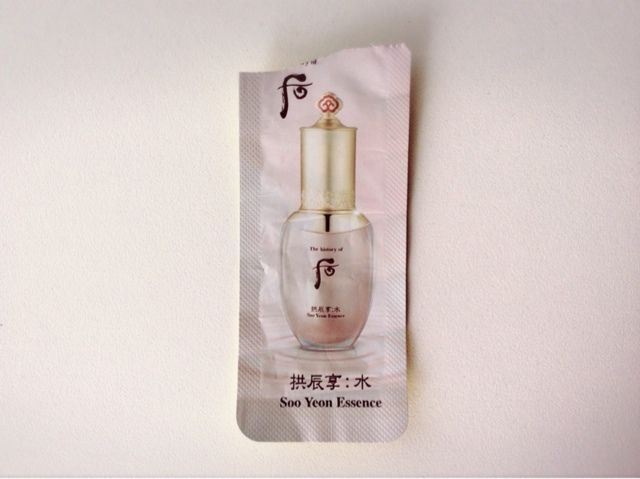 Now that History of Whoo Soo Yeon Essence does sound intriguing! You had me yearning for it as soon as you said "it really adds radiance to my face"! Who wouldn't want a product that makes for a radiant complexion the first time you use it! 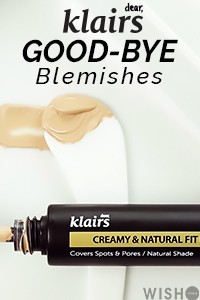 The Skinfood eye cream sounds like just another eye cream. That said, Royal Honey sounds like a wonderful thing for the delicate eye area! Yes the ohui is crazy expensive, I can't imagine it beign worth the money. I can't wait to try other products from the whoo line, but unfortunately it isn't cheap either (maybe a set tax free on sale lol wishful thinking ). I imagine using the whoo essence with the cream and maybe toner ...:) radiance boost !! 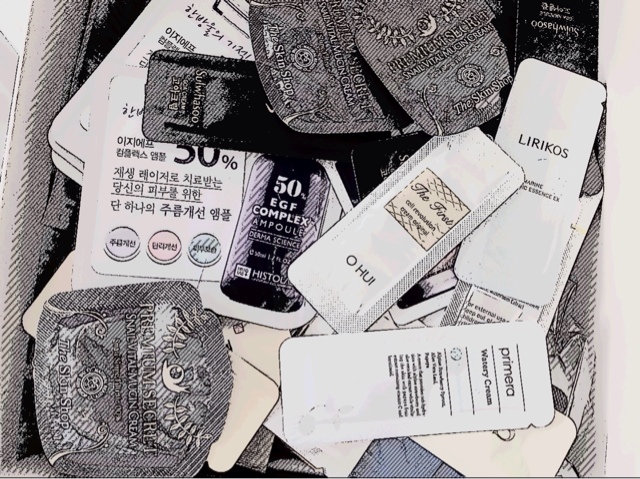 Great review :) Check out https://www.instagram.com/0.8liter_usa/ if you're interested in receiving Korean beauty products for free through our collabs with Korean brands in our weekly campaigns! Nice and interesting review.I would love to give a try to this product :-) Thanks for sharing...I am using skin care products by Dermology and its great..